It has been all downhill for international bank stocks this year. One reason why this trend will probably continue is the strengthening dollar. When the greenback gets stronger, non-U.S. banks’ appetite for risk diminishes and their share prices suffer. This phenomenon, which bites banks almost everywhere outside the U.S., has been documented in the past couple of years by economists at the Bank for International Settlements, the central bank for the world’s central banks. Investors should be paying attention now, not only because the trend can help explain why bank shares have performed badly so far this year, but because it suggests they might continue to do so. There are other reasons for banks’ underperformance, like a weaker global outlook and, in Europe, the expectation that interest-rate rises will now take longer to arrive than once hoped. 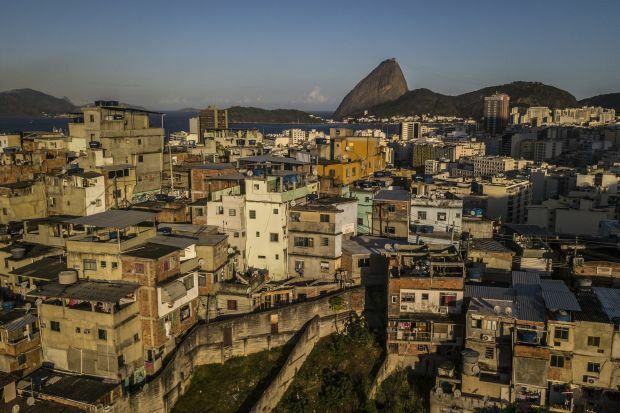 It is also easy to focus on idiosyncratic problems like Deutsche Bank ’s restructuring, Spanish banks’ exposure to emerging markets such as Brazil, Mexico and Turkey, or the U.K. and Italy’s political uncertainties. Still, the dollar effect matters, and in Europe, Asia and elsewhere it looks set to make things worse. The U.S. economy’s stronger growth and tighter labor market should mean further rate rises and in turn a strengthening currency. Why does this affect banks? In simple terms it is through the value of collateral – the homes, buildings and equipment that most borrowers put up as security against their debts. Many banks use dollars for lending backed by non-U.S. collateral. When the dollar strengthens, that collateral falls in value compared with the loan, so the loan becomes riskier. This is true even if the lending is to a business that makes money in dollars, although the problem is worse if the business deals in local currencies. Banks use dollars for a lot of lending in Europe and emerging markets. The best data on this relate to cross-border lending, which collapsed after the crisis. 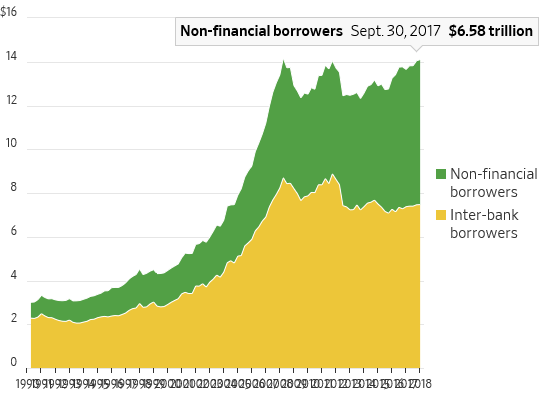 But now, dollar loans to non-financial companies hit a record $6.6 trillion at the end of last year, according to BIS data. Non-U.S. banks now face a double headwind against revenues and margins. A stronger dollar will probably mean they make fewer new loans and thus revenues. 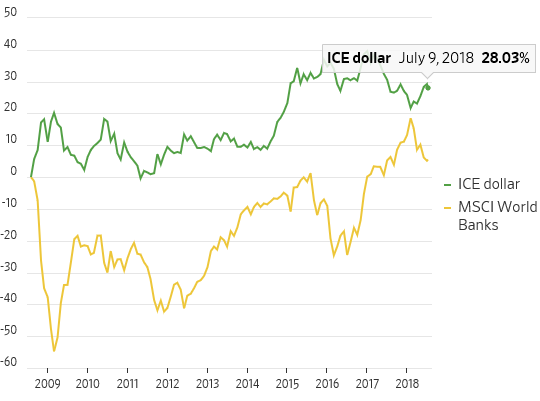 At the same time, lower yields on 10-year government bonds in the U.S. are squeezing the difference between short-term and long-term rates—the infamous flattening curve—which makes lending less profitable for banks. This could in turn knock economies. Less new lending in many countries might further slow global growth in the money supply, which is already at its weakest since 2009, according to Absolute Strategy Research. Investors are right to be taking a dim view of Banks.